The federal government’s possible foray into pharmacare would represent an unprecedented expansion of Ottawa’s role in Canadian health care, writes Sean Speer. The Trudeau government’s study of a national pharmacare scheme may ultimately lead to the grafting of drug coverage onto Ottawa’s current role in Canadian health care. It would represent a historic, new federal intrusion into health-care administration and delivery that runs counter to long-standing views about federal involvement in health care. A new, national pharmacare scheme would thus represent a substantial departure from key parts of past legal and policy thinking. At minimum, there ought to be an effort on the part of federal policymakers to grapple with the origins and evolution of the federal role in health care and how national pharmacare would fit in this historical context. Good intentions or political expediency or whatever other motivations are insufficient. Historic institutions such as Canadian federalism must be engaged. So must the evidence of past experiences with successful reforms and policy failures. A new MLI study, titled The Federal Department of Health Nears 100: The Origins and Evolution of the Federal Role in Health Care and the Case for Reform, aims to bring these considerations to bear in the current pharmacare debate. The paper starts with an underlying assumption, based in large part from my previous experience with the federal government, that policymakers, media, and the general public don’t tend to think much about the federal Department of Health and its role in Canadian health care. How did it come about? What does it do? Why do we have a federal Department of Health but not a federal Department of Education? These types of question are basic elements of public policy. Yet few of us – including me during my time in government – are posing them. Policymakers, media, and the general public don’t tend to think much about the federal Department of Health and its role in Canadian health care. The purpose of the paper, then, was to ask some basic questions about the federal government’s role in health care in general and the origins, evolution, and activities and functions of the federal Department of Health in particular. Think of it as a basic primer that can help inform the public discussion about health-care policy. Or a conversation starter about what Ottawa should be doing to enable and promote better health outcomes for Canadians. The paper charts, in broad terms, the origins and evolution of the federal role in health care as a manifestation of economic, social, and political trends over the past 100 years. It highlights how bursts of federal activism were marked by various intellectual and political currents. Basically, the history of the federal Department of Health follows the ebb and flow of these bigger trends. The creation of the department itself was a reflection of post-WWI social progressivism that was focused on the public health issues associated with mass urbanization. The development and expansion of public health insurance was part of larger post-WWII trend towards social insurance and the welfare state across western countries. The massive infusion of federal funds in 2003/04 (what then-Prime Minister Paul Martin called a plan to “fix Medicare for a generation”) was driven by a provincial and territorial reaction to the fiscal retrenchment of the 1990s and the political transition from Jean Chrétien's government to Paul Martin’s in Ottawa. There are various other examples of interaction between federal health policy and the broader economic, social, and political milieu. Our paper seeks to help policymakers, the media, and the general public understand these inflection points and how they’ve shaped health policy thinking in the nation’s capital. Which brings us back to the Trudeau government’s possible foray into pharmacare. There are various factors now contributing to its efforts – including electioneering, public concerns about drug expenditures, provincial/territorial fiscal issues, and progressive ambitions about expanding the entitlement state. Irrespective of the motivation, a new, national pharmacare scheme would represent a major new policy initiative that would expand Ottawa’s role in Canadian health care in an unprecedented way. Assuming responsibility for expenditures and functions hitherto carried out by the provinces and territories would be a marked departure from historic thinking about federalism in general and the federal role in health care in particular. As we describe in the paper (and various other MLI outputs), it would also fail to learn the lessons of recent episodes of health-care reform when progress has tended to be correlated with a more circumscribed federal involvement. There are various reasons for this – including the perverse incentives associated with an infusion of federal dollars and conditions and the limits of top-down, centralized priority-setting. 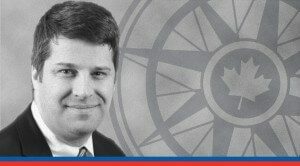 Why would we assume that Ottawa is uniquely positioned to judge how provinces and territories ought to reform their respective health-care systems? Why would we assume that health priorities are uniform across the country? Why would we assume that the provinces and territories can’t act as policy laboratories where good ideas can be tested, refined, and ultimately scaled elsewhere? And why, after several decades of a bottom-up evolution of public and private insurance arrangements, would we assume that now Ottawa should establish mandatory, single-payer drug coverage – especially since it’s had a minimal role in this area historically? Charting the origins and evolution of the federal role in Canadian health care should lead policymakers to cautious responses to each of these questions. It gives one a renewed sense of the strengths of federalism and the capacity of the provinces and territories to shape, drive, and ultimately catalyse health-care reform in Canada. The corollary is also true: recent episodes of over-sized federal ambition in health care (particularly the 2003/04 health accord) has tended to lead to stasis and poor health outcomes as well as exacerbating the trend towards fiscal unsustainability. The upshot is that lessons from the past show that Ottawa can be humbler about its ability to “fix” Canadian health care. It doesn’t mean that there’s no federal role, as the paper shows, but it does mean that it’s role should be to the extent possible about enabling experimentation and reform at the provincial and territorial level. The trepidation about federal overreach that guided Ottawa’s health policy nearly 100 years ago is still a good starting point. Asking these questions – how did we get a federal Department of Health, what does it do, and why does it do it? – must be front and center as the Trudeau government considers whether to proceed with national pharmacare. The lessons from history can be enlightening. And humbling for those with national ambitions.